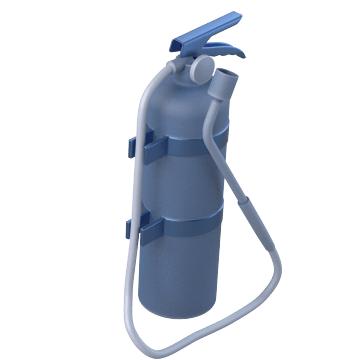 Extinguish fires with these extinguishers, which can be recharged after they've expired or been used to keep them ready for the next use. 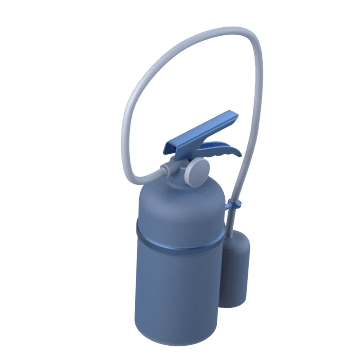 The most commonly used style of extinguisher, dry chemical extinguishers can be used to put out Class A (flammable solids), Class B (flammable liquids), and Class C (flammable gases) fires. They leave a residue on surfaces. 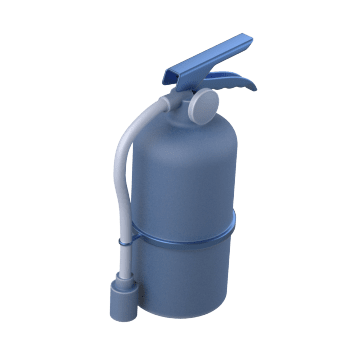 Ideal for health care facilities, computer server rooms, and other areas where non-magnetic tools and equipment are required, these dry chemical extinguishers will not disrupt sensitive equipment. 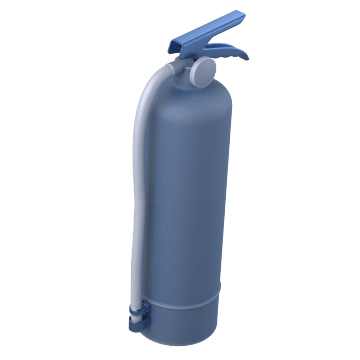 They can be used to put out Class A (flammable solids), Class B (flammable liquids), and Class C (flammable gases) fires. They leave a residue on surfaces. Liquid halotron extinguishers put out Class A (flammable solids), Class B (flammable liquids), and Class C (flammable gases) fires without leaving behind residue or damaging equipment. 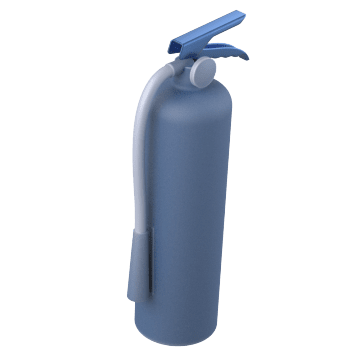 Suitable for putting out Class C fires (flammable gases), these carbon dioxide fire extinguishers reduce the fire's supply of oxygen. They leave no residue and do not damage equipment. Ideal for commercial kitchens, wet chemical extinguishers can put out Class K fires (cooking oils, greases, and fats). 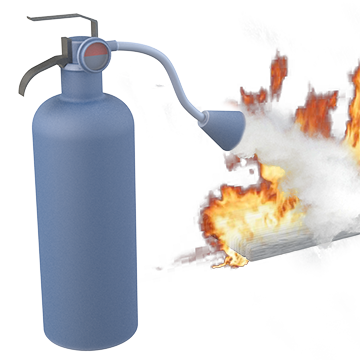 Put out Class D fires (combustible metals) with these dry powder extinguishers. 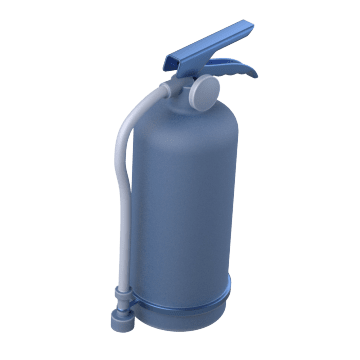 Primarily used to extinguish Class A fires (flammable solids), these extinguishers use water to quickly lower a fire's heat.